HG is headed to the best bike park in the lower 48, AngelFire! Located just east of Taos, NM, this bike park has it all… techy steeps, blue and black jump lines, berms for days, and a chill vibe. 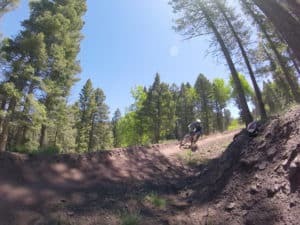 Angel Fire Bike Park is the largest Bike Park in the Rockies and has been voted best in the Southwest by MTBparks.com! With a summit elevation of 10,677 feet offering lift-accessed downhill biking with over 60 miles of trails for all ages and abilities. 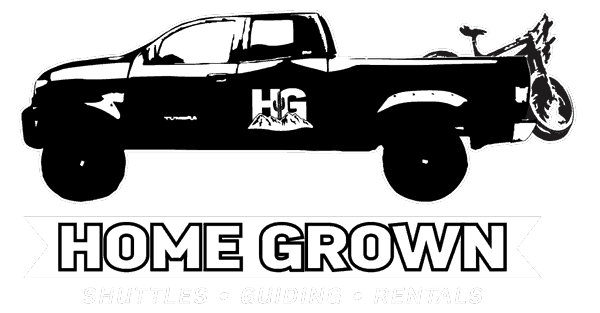 HG will provide the transportation for you, your bike, and gear. You will be responsible for booking your own lodging, food, and lift tickets (see below – there is also ample camping on-site). This is a non-guided, self-supported MTB ride. Each rider is responsible for his/her own mechanicals, safety, and route finding. Please be prepared to sign a liability waiver. Shuttle will leave Le Buzz (Tanque Verde/Catalina Highway) at 7am on Friday, September 1st and will return on Monday, September 4th. This is a 9-10 hour drive. Please register below to reserve your spot. Please consider bringing a full-face helmet, knee/elbow pads, extra supplies such as tools and tubes, and your A-Game.